The National Communications Authority has organised a digital family forum to commemorate the World Telecommunication and Information Society Day (WTISD) which is celebrated annually on 17th May. This event marks the anniversary of the signing of the first International Telegraph Convention in 1865 which led to the creation of the International Telecommunications Union (ITU). The focus of the celebration which took place at the Accra International Conference Centre was on “ICT entrepreneurship for social impact" as the ITU has taken an interest in the role ICTs play in developing entrepreneurs. The purpose of WTISD is to help increase awareness of the possibilities that the use of the Internet, other Information and Communication Technologies (ICTs) can bring to societies and economies, as well as of ways to bridge the digital divide. 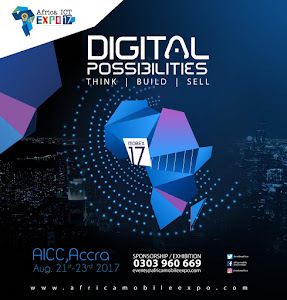 However this year, Ghana strayed from the theme and focused discussions on ways to develop the ICT industry as well as to create the enabling environment to nurture entrepreneurs in Ghana. As a result the day’s discussions were on “Addressing Challenges of the Communications Industry to promote Growth and Development – Focus on Domestic Roaming and OTT Services”. Mr. William Tevie, Director General of the National Communications Authority who presented the ITU Secretary General, Houlin Zhao’s message, welcomed all participants and called upon all stakeholders – governments, industry, academia and technical experts to promote the role of small, young, and innovative firms in the ICT sector; encourage the spread of digital social innovation; prioritize economic policies which promote innovation; ensure the availability of necessary human capacity; support the establishment of comprehensive entrepreneurial ecosystems as well as assist entrepreneurs in moving from idea and innovation to sales and revenue. In his keynote address, Honourable Dr. Edward Omane Boamah, echoed government’s position on finding a better way to harness the use of OTT services and urged the media to support by conveying messages which have been released and to avoid colouring them for the purposes of boosting readership and listenership. He said,” the Government is not and has not in any way considered a ban on OTT services. We believe that as an emerging trend, the regulator, together with operators and consumers should find a middle ground which befits our peculiar situation”. The minister also used the opportunity to educate participants on Government’s aim to consider the case for domestic roaming. He said,’ the service will enable mobile users to switch from one network to the other in the event of network failure. Furthermore, this will ultimately be of an advantage to the police and other security officers in the event of crisis and mass information”. In his closing remarks, Mr. Eugene Baffoe-Bonnie, Board Chairman of the NCA was sure that the knowledge shared at the forum will enable all stakeholders of the telecommunications industry and SME’s across the country find innovative solutions to making their businesses profitable.